Heartsong is the blending of Lawrence Lindhardt Christensen, Arjuna Govinda and David Mandara – three songwriters, three musicians and three distinctive voices. Together they offer an eclectic mix of original devotional songs encompassing a variety of spiritual traditions – from Buddhism to Hinduism to Christian Spirituality to Sufism to Native American and beyond. Heartsong also blends ancient mantras with contemporary melodies to create musical prayers to uplift the spirits. 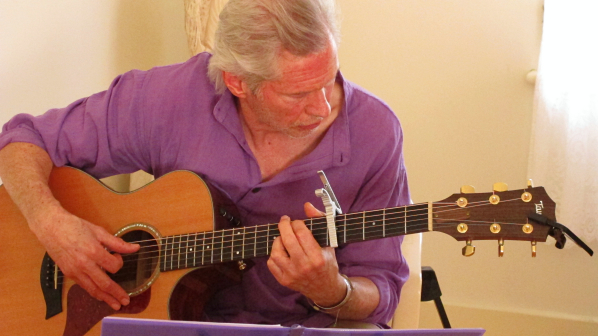 Heartsong concerts evoke joy, inner peace and the energy of transformation. In summary, Heartsong is all about songs of the heart. Heartsong, as the name suggests, presents devotional songs of the heart – original compositions to engage soul and spirit, inspired by the ancient wisdom teachings and mystery schools of the past and present. 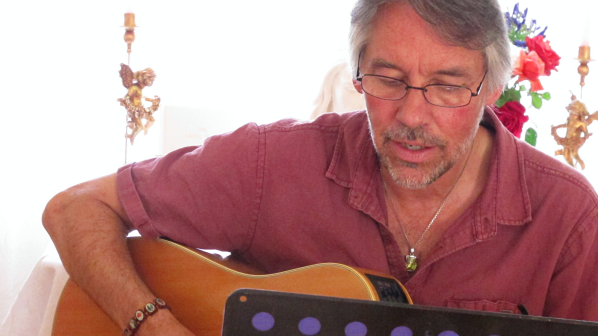 Heartsong draws upon many spiritual traditions, from Theosophy to Buddhism to Hinduism to Christian Spirituality to Sufism to Native American and beyond. 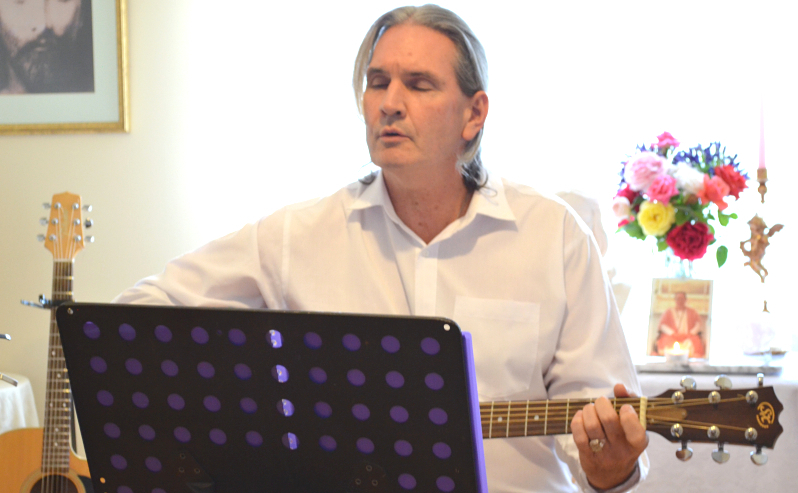 Our songs are dedicated to the Divine, with invocations to ascended beings such as the Buddha and the Christ, the great lady masters such as Quan Yin, Lady Mary and Lady Portia, and to mighty archangels and cosmic beings like Archangel Michael. Our repertoire also incorporates traditional healing and devotional mantras in Sanskrit drawn from the Vedas, such the Mahamrityumjaya Mantra, the great healing mantra. These, along with mantras to the Divine from other traditions of the distant past, are set to contemporary melodies that aim to reflect the sublime beauty of the texts. Heartsong is the amalgamation of Arjuna Govinda and David Mandara who live in Daylesford, Victoria and Lawrence Lindhardt Christensen who resides in Copenhagen, Denmark. Arjuna, David and Lawrence are songwriters, musicians and singers, all contributing original songs to each concert event. The group performs with all three members only on occasions when Lawrence visits from Denmark. 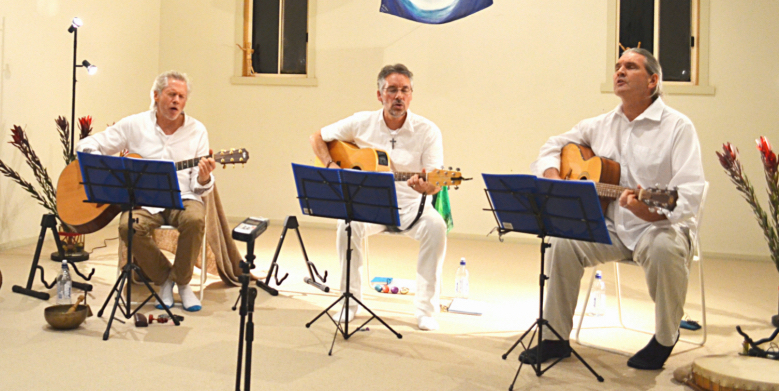 A Heartsong concert is a meditative and healing experience where participants and the energy they bring contributes to the sense of peace, wonder and upliftment.